Besides Bogor Peak, there are actually many holiday spots in Bogor that are easy to reach and offer beautiful natural scenery. One of them is the Mount Bunder Tourism area. This tourist area is included in the Gunung Halimun Salak National Park in Bogor Regency. This area is an alternative nature tour around the attractive capital city. 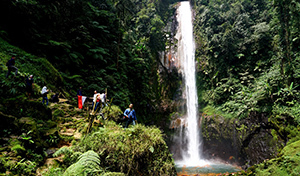 There are many activities and attractions in Gunung Bunder area. Here are some famous tourist attractions on Mount Bunder. 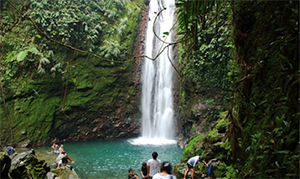 One of the tourist attractions in the famous Mount Bunder area is Cilember Waterfall. This waterfall is always a favorite tourist destination during holidays. Not only by local tourists but also by tourists from outside Bogor. This waterfall has its own unique charm. Namely, a waterfall that not only has 1 stream but 7 streams of waterfalls. Each can be achieved with a fairly challenging terrain. Besides Curug Cilember, there is Cigamea Waterfall. This one waterfall is in the Pamijahan area around Mount Bunder. Cigamea Waterfall is also famous. Not only from its natural beauty, but also from mystical stories that are there. In addition, the flow of this waterfall is quite heavy. So the best time to visit there is during the dry season. Tourism in the Mount Bunder area is famous for its various waterfalls that are there and can be visited as tourist attractions. One of the other waterfalls that you can visit is Cihurang Curug. This waterfall is also unique because it has several springs that flow and form a beautiful landscape. Suitable for Late Semester Vacation Spots in Bogor for those who like nature. Even though the flow is not too heavy and not too high, the waterfall is quite attractive and quite safe for tourists who want to play water. 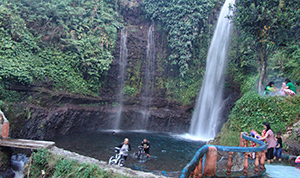 Curug is also equipped with complete tourist facilities. The next waterfall in this tourist area is Seribu Curug. 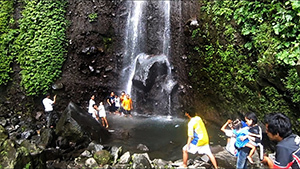 This one waterfall is a famous tourist spot on Mount Bunder. The interesting thing about Seribu Waterfall is the height of the waterfall. Where this waterfall has a height of approximately 100 meters so that the scenery to be obtained will be very attractive. This place is also the best place to hunt beautiful photos. Other article: Things to Do in Kawah Putih West Java Indonesia. Still about the best waterfall tourism in Bogor, precisely around the Mount Bunder area. You can visit Ngumpet Curug at the foot of Mount Salak. The advantage of Ngumpet Waterfall is that the water conditions are very clear. Although the water discharge is not large and the height of the waterfall is not too high, the clarity of the water from the waterfall will feel very fresh. Another waterfall in the Bogor Bunder tourism area is Luhur Curug. This one falls in the green mountains. Curug Luhur tourist area is fairly complete. You can find a swimming pool there too. 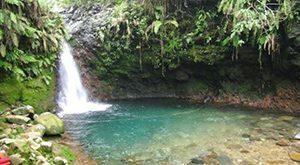 This swimming pool can be found when visitors walk to the waterfall point and consist of adult swimming pools and children’s pools. 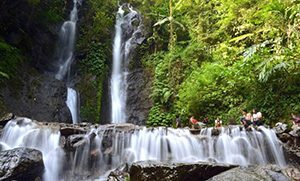 Pangeran Curug is another waterfall in the tourist area of Mount Bunder which is also worth to visit. This waterfall is near Ngumpet waterfall. So if you are on Ngumpet Curug tourism, there is no harm if you stop by here. Accessibility to get to Prince Curug is not too difficult. Even this waterfall has quite complete tourist facilities, although not many tourists know of the existence of this waterfall. To reach the location of the waterfall, visitors can walk from the parking area for approximately 500 meters. the road is good enough so that tourism activities can be done comfortably. Another tour at the foot of Mount Salak that you can visit is Cadas Ngampar Curug. 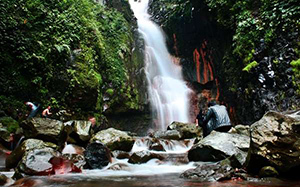 The best waterfall on Java Island is also often known as Batu Ngampar Curug or Batu Ampar. This waterfall is quite unique because it is located between rock cliffs. Although not too high, this waterfall and the ranks of rocks next to it will look very natural. visitors can visit the waterfall with easy access. Where from the parking lot, visitors need to walk through the natural stone steps. In addition, there is also a gazebo to rest or sit in. Traveling by foot only takes about 5 minutes. To get to the waterfall, tourists need to cross a small river. This river is filled with abatu-stones that can be used to stand. But if you don’t want to cross the river, just sitting on the gazebo, the beauty of the waterfall is visible. This waterfall is suitable for adventurers and is one of the high waterfalls with quite heavy water discharge. So playing water under Jackfruit Curug will be a refreshing activity after a tiring journey. You might find wild monkeys that live in the surrounding forest area. Evidence that the forest around this waterfall is still natural. Related Article: Waterfalls In Bogor – Have An Awesome Experience Here! So are some of the tourist attractions of Mount Bunder and alternative interesting tourist activities on Mount Bunder that can be done during the holidays. Just decide according to your taste. If you like challenges, climbing mountains and visiting waterfalls can be an attractive alternative. If you don’t really like challenges, choosing a resort in Mount Bunder with complete facilities can be used as a memorable holiday reference.